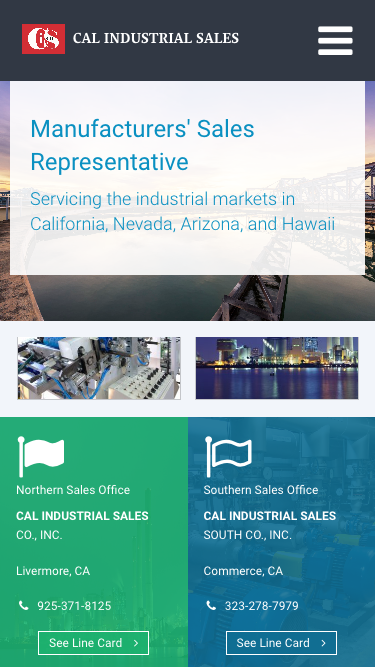 Cal Industrial Sales Co., Inc. This project was an exciting challenge for Sky1 to help this client identify the best way to explain their operating structure and communicate to manufacturers that they operate from two separate warehouse and sales locations, each having separate legal entities with dedicated management staff, but share and drive the same sales brand name. 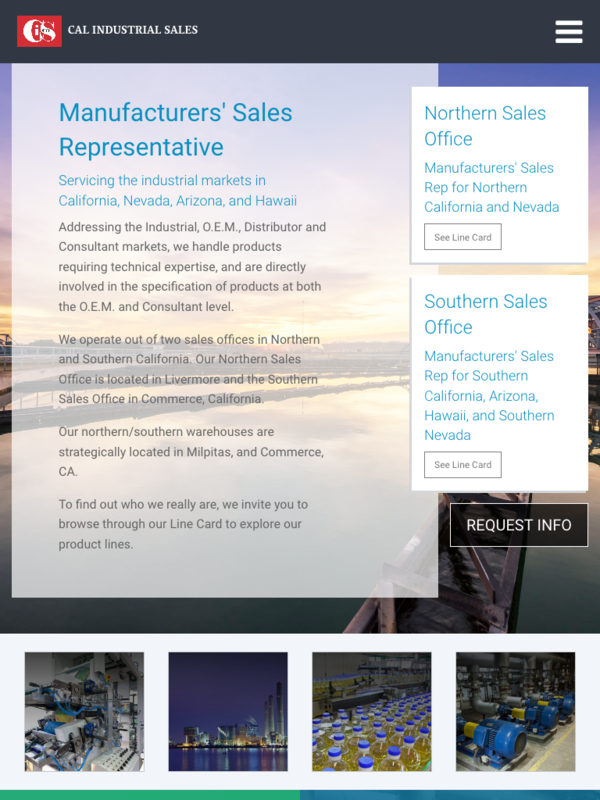 Sky1 is a great fit for companies in the industrial markets, especially those who have multiple brands or complex legal/operating structures that need to be well understood by the designer and conveyed clearly on the website. 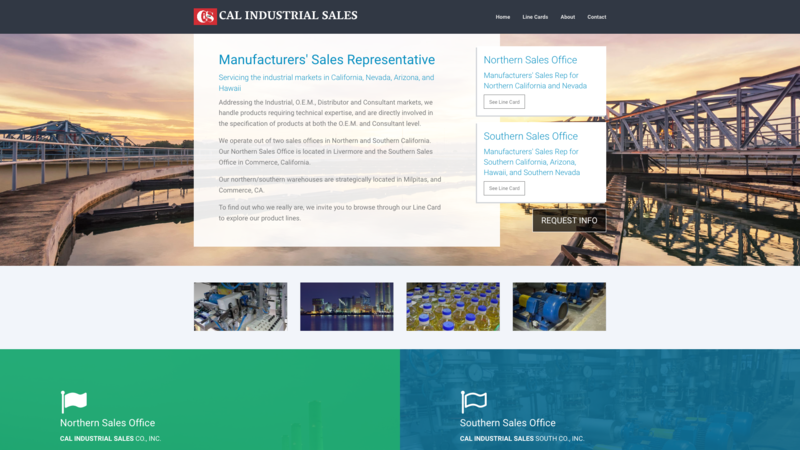 The Cal Industrial Sales website came out really nice and solved all the challenges we faced. Both designer and client were all very satisfied with the outcome.